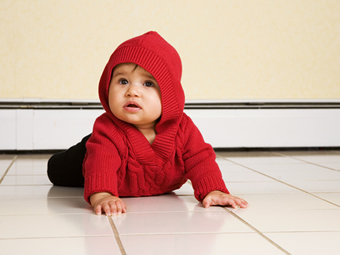 Why trust us for your professional tile cleaning? There are lots of tile and grout cleaning companies who will all tell you they have the best hard floor cleaning system – so which professional floor tile cleaning company should you trust in your home or office? 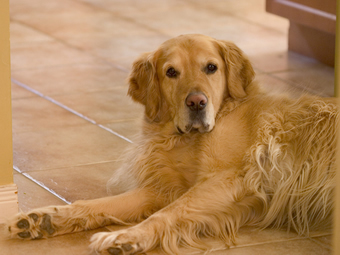 We have been cleaning tile floors for many years and are familiar with all current methods. The equipment, processes and cleaning solutions we use are the result of this experience and know how. The following is our ‘quick guide’ to tile floor cleaning processes – you can be sure you’ve made the right choice using A Brighter Home to clean your hard flooring. 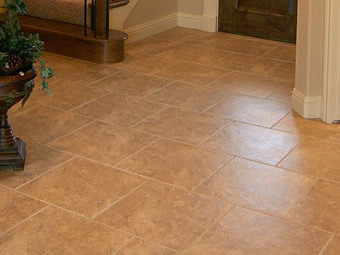 The problem – modern tiles are often engineered with a slightly textured non slip surface – this, combined with the inevitable scratches and wear and tear, all contribute to ceramic floors becoming soiled, dull and virtually impossible to effectively clean via traditional methods such as mop and bucket. 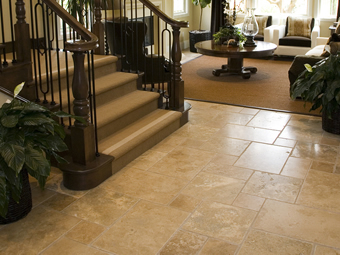 Also, because of its absorbent nature, grout quickly becomes discoloured and is a breeding ground for bacteria. To thoroughly clean your hard floors, we believe it is really only possible to get good results by emulsifying the soiling into a liquid and then removing by rinsing (extracting). For this reason we use a Steam Cleaning Extraction method with very advanced cleaning solutions and equipment that typical operators don’t invest the money or the time in. High Pressure Deep Steam Clean Extraction Our steam extractor sprays high pressure water based steam directly onto the grouting and tiles and efficiently vacuums away soiling. By the use of steam cleaning grout and tiles, our hi-tech process uses very little water, meaning we don’t flood moisture sensitive areas such as wood kitchen cabinets and kickers. The added benefit of steam means flooring or wall tiles are also sterilised during the process, killing harmful bacteria. Further Hand Cleaning as Required Any remaining hard to access areas etc are now treated by hand to ensure the most thorough clean possible. Re-Colour and/or Reseal Grout (optional extra service) If required, grout can re-coloured to look like new again or alternatively just sealed to prevent further discolouration. This is an optional extra cost service, please call us for details. Customer Sign OffOnce completed, we will invite you to inspect our work and ensure that you are satisfied. Please also remember that even after we leave you are covered by our 100% satisfaction guarantee. If you are not satisfied with any part of our service, we will happily return and put things right until you are! Deep clean using the most high-tech equipment to leave your tiles sparkling clean! We can also clean other kitchen appliances such as fridges and freezers, ovens and hobs. Soft furnishings such as carpets, upholstery and rugs and mattresses. Did you know we also clean...?